I know it's been a couple of days since I've last blogged. I think it's because I've been consumed with breaking in a new pair of patent leather glossy black winter flats from Endless.com (my Mecca for online shoe shopping--I even purchased a pair of boots last winter, wore them once, hated them, then returned them for a full refund. I'm now a loyal customer for life). Anyways, last Friday I went to a place called Takashi that I had never heard of before. Well, let me tell you, I've not only heard of it now, but I am obsessed with it and want to go back. Plus I can't stop raving about it. Find this place, and go there. It's on Damen and Armitage in Wicker Park. It's close enough to BlackBird, which is a cute little place we ventured to prior to having dinner with two of our out of town friends (Doug's friend since he was born). I would suggest you try the same (but bring band-aids in your purse if you are wearing new shoes, it's about a 7 minute walk in between the two locations). Erica and Jed have already been, but I was not with them. Today was my turn. After picking up Erica at the airport, we drove directly to North Ave. for lunch. Finally I have found a solid and fun BBQ spot to enjoy and recommend. The vibe is part old-school southern, part funky hipster. It fits in perfectly with the surroundings and the local crowd. 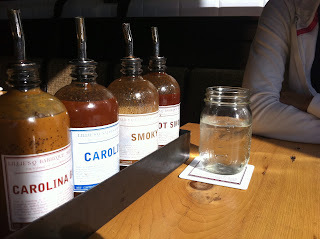 I liked the decor of creative benches, white tile wall, and wooden tables displaying the five types of sauce.Water and beer (a nice beer list too) are served in mason jars, and your napkin is the now fashionable white cloth. Everything works together for the urban barbecue style Lillie's presents. 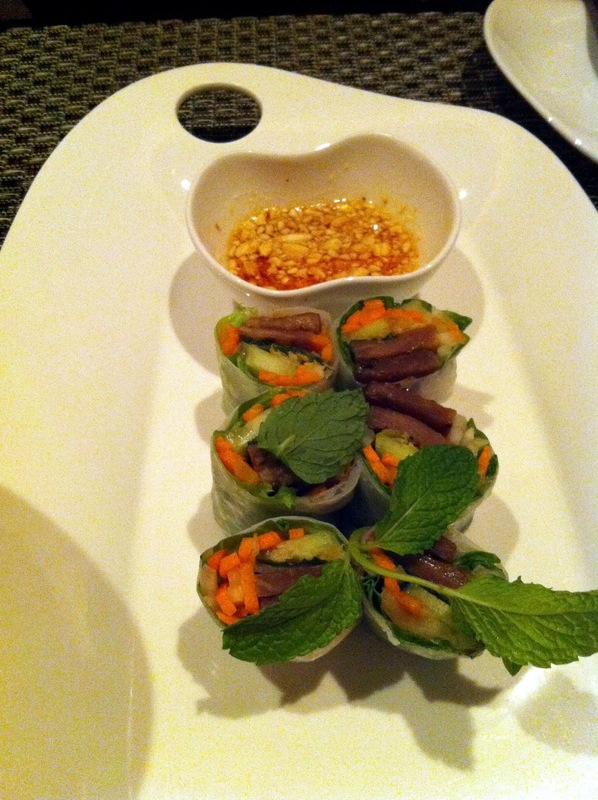 The menu is appropriately small and straight forward with four starters and about five entrees. Try and save room for starters after enjoying the bowl of popcorn presented (way better than bread); I know a few people that could eat popcorn all night. 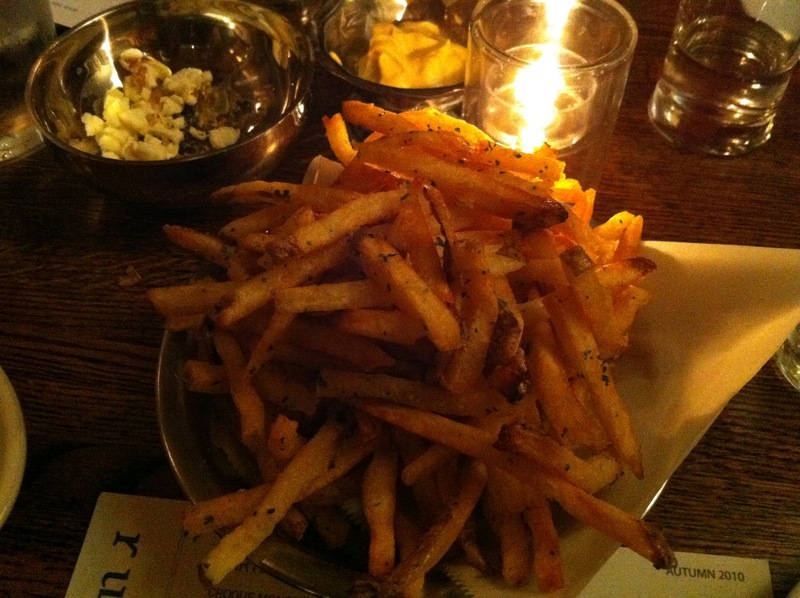 We started with garlic fries and their K-Town empanadas. It was a tough choice since everything looked appealing. We were very happy with both dishes and did not send back a single fry. 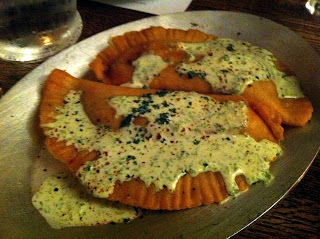 The empanadas were delicious and covered with a unique Chimichurri Crème Fraîche (can't go wrong at $7). The next time you venture to Kenosha, Wisconsin for any reason (college town, lake, outlet malls, etc) and need some food, Wine Knot is a very good option. My reason for being in southern Wisconsin was for Carthage College Men's soccer, and Erica, Erica's mom and I needed some food before braving the chilly 40s degree night last Wednesday. The Baker women have had trouble finding satisfactory dining choices, which only added to our enjoyable meal. As the name implies, Wine Knot is a small but fun atmosphere wine bar and patio in downtown Kenosha. There is a long bar, two large communal wooden high top tables, and individual tables along the wall. There's fun posters and signage, plus a few TVs to catch whatever game is playing. 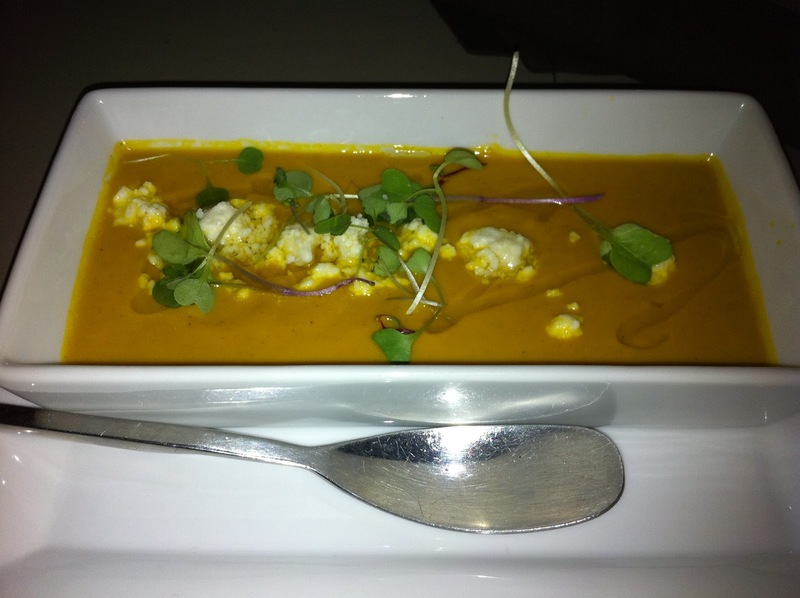 The menu is simple and to the point, exactly what a down-to-earth wine bar should offer. The wine and beer list looked extensive, though we didn't take time to explore it at length. There is a trend in Chicago lately revolving around bringing the idea of Japanese "Izakaya" pubs to the city. The track record so far has been mixed, if not bad. Chizakaya is the latest attempt and possible the best to-date, though I never tried the others. However "best attempt" still does not qualify for "great" and I don't know if I'd call it a success. The concept of Chizakaya is well thought out but lacking execution. It would be great to have a go-to sake bar with great small plates, a change of scenery if you will. 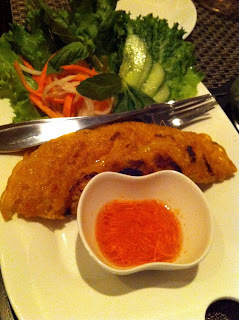 What we found was an interesting and difficult menu to navigate serving food most people did not know existed. There is talent behind the counter, some flavors came out nicely, but I argue the talent is misused. Our drinks were pretty good; I enjoyed trying a few sakes, Russ had their version of a mojito while Erica sampled the beer on tap. Our food was hit or miss, mostly just confusing. Now that I have finished all my CA trip posts I can re-focus on Chicago dining. We'll get back into the groove with a post from Mish. Enjoy. Crust on Division is pure awesome. It's so much more than just pizza. I love restaurants that have more surprises on their menu to prove they are far from a specialized at only one area, and can actually offer a variety for their customers. I liked everything about this place: from the red plastic water cups (boyfriend and I agreed at dinner that we do love a nice plastic water cup, not sure why), to our hippie waiter (that needs a haircut but was personable & practically squatted on the ground when he took our order so the sun wasn't in our eyes in the outdoor patio where we were seated). Most importantly, the food was fresh, and the ingredients well selected to create perfectly executed dishes. I'm finally at the end of my California posts, and it finishes with our first meal: Friday lunch in Palo Alto at Osteria. It was the four of us grabbing lunch before driving into the city. Osteria is a small, neighborhood Italian spot in downtown PA. We had a very nice meal, complete with fresh pasta, salads and bubbly. Erica and I split a very good Caesar salad. The greens were California fresh, the croutons made in-house, and the dressing did not overwhelm. It was a lovely salad, plenty large to share. The pastas were also made in-house, and it showed. The noodles were tender and fresh, very well made. My complaint though wasn't with the pasta, it was with the sauces on both dishes. Erica ordered a pesto pasta and I chose a marinara with pork. The first issue was quantity, there wasn't enough sauce for all the delicious noodles on the plate. But more sauce would not have changed the fact that neither dish's sauce contained enough flavor. Alyssa ordered a fried calamari steak that was probably the best dish at the table. I've never seen a fried calamari steak before. We made an impromptu stop at Farmstead to meet someone for a drink. We ended up having more food and drink than we anticipated, mostly because it was quite tasty. The quick run-down of food consumed: meatballs, tomato soup, homemade potato rolls and cheddar biscuits, macaroni and cheese, and finally, a giant bowl of heirloom tomatoes. Everything was great, and since it was the prime tomato season they were unbelievably fresh. The meatballs and bowl of tomatoes were a gift from the manager, and the meatballs may have been the best part of our meal. Our bread-loving Erica almost didn't share the potato rolls and cheddar biscuits and I don't blame her. They were delicious and fresh out of the oven. I preferred the rolls, served lightly oiled and salted, but Erica loved the biscuits. We did not eat a "proper" meal, but the small plates we ate at the bar were very good. Next time I'm in town I'll stop by again, and if you're driving through the valley, you should consider it too. Oh, did I forget to mention they make their own wine? That's quite common in wine country, but they do and it's good. Continuing the recap from our week visit to the Bay Area, Friday night's meal was across the street from the Giant's stadium at MoMo's. This was the first of three games again the Padres where a single victory sent them to the playoffs. We wanted to be in the vicinity of the stadium in case they won so we could participate in the festivities. We didn't get the win that night (they would on Sunday), but we still had a fun time. MoMo's was a recommendation as an institution in the area. I'm certain the vibe is quite different on game-nights than regular nights. We ordered a simple meal but James outdid Erica and me going with the steak 3-course option for $29. I ordered blackened salmon and Erica went with a mushroom flatbread pizza. Everyone's food was just mediocre. We started with a tuna tartare served on crispy won-tons. 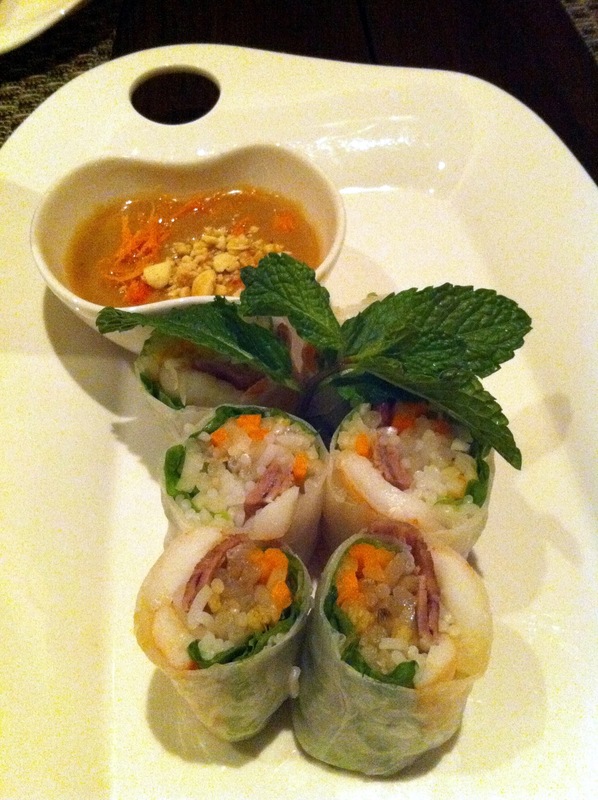 I like the tuna, could have done without the won-ton. For entrees, I ordered blackened salmon. It was pretty good, well cooked but extremely over "blackened." The corn side was tasty but the rice was not. Erica's gouda and mushroom pizza was quite good, and we notice many people with pizza on the table, so it is likely the best bet. James did not thoroughly enjoy his steak and did not touch his sides. Our wine was also not great, but that could be as much our fault as theirs. The birthday celebration for Alyssa J. Rapp was a beautiful 20 person private dining affair at a well known San Franciscan destination named Quince. We were treated to a tour of the private wine cellar and a delicious rose bubbly before sitting down to our four course meal. Alyssa chose the wine pairings which, not surprisingly, delivered a perfect complement to each course and presented a highlight in their own right. The food, however, was disappointing. I realize expectations run high for a one-star Michelin rated restaurant, but I arrived with an open mind. Our first two courses displayed signs of brilliance and quality of exceptional cuisine, but not consistently and certainly not with the main course. Private parties of large size probably present unique challenges to the kitchen, but that is not an excuse. I would also like to see and possibly explore the entire menu, but all I have to work with is our meal. 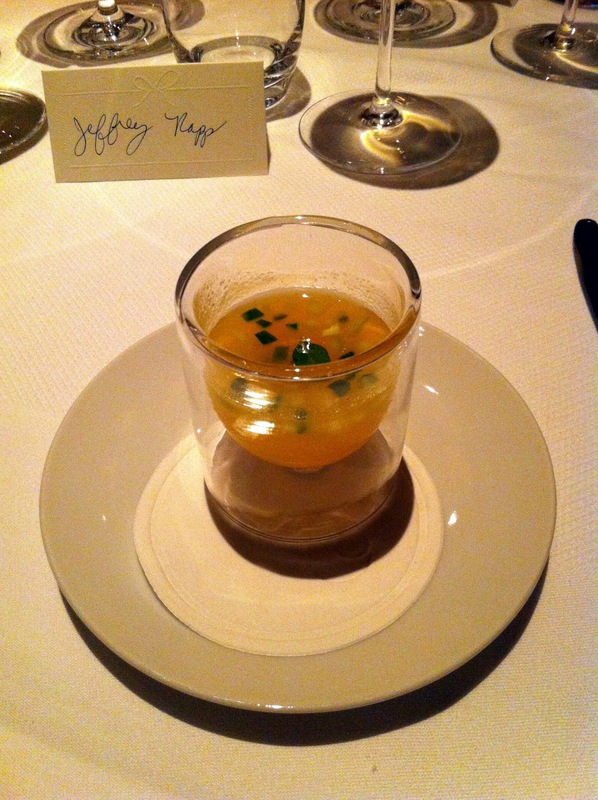 Our amuse-bouche was a delicious melon gazpacho with mint and cucumber. The first course was a single seared scallop topped with a muscle served over a potato puree. 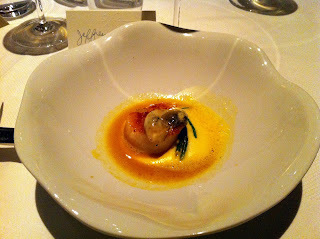 The scallop was perfectly cooked and tender, but I did not see how the oyster or puree added to the flavor of the dish. It was a nice start, but too bland with all the ingredients used. Erica and I went to Amici’s to meet with our long time favorite Colombian friend Camilo Garcia. 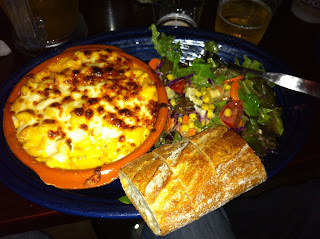 It was a simple, cheap and fast meal that worked for everyone, especially Camilo since it is across the street from EA. We ordered a large pizza to share for three, which was a perfect size and quantity. Our taste buds were undecided so we split the pizza half vegetarian and half pollo. 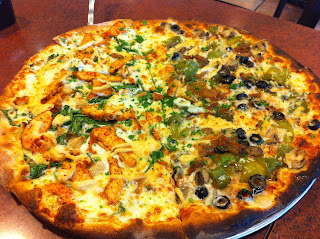 Both types were very good and reminded Erica of a local version of CPK. The crust had a nice buttery flavor and the cheese was not a low budget filler. I enjoy eating in California because in most cases ingredients come from local producers and are seasonally fresh. This can be experienced even at a pizza shop. Amici’s is a chain so next time you’re looking for ‘za in CA, Amici’s is a good choice. Erica and I spent the day in Wine Country and needed a place for a quick lunch between appointments. We were in possession of the Michelin Guide SF and relied on it for a listing of an inexpensive lunch idea. 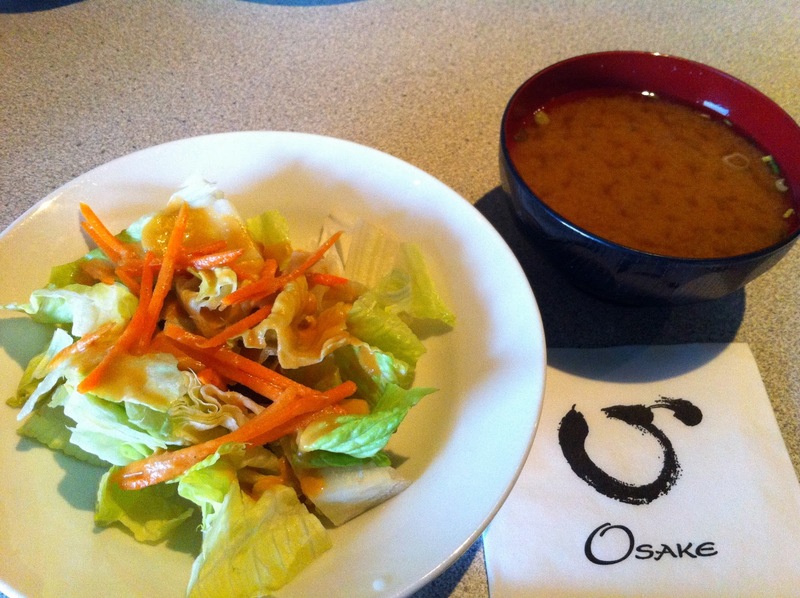 Osake fit the bill with price, time and location. We enjoyed a pleasant meal, but it wasn't anything special. The value was quite good since we ordered two lunch specials: an executive bento box and five piece sushi plate with california roll. Each dish came with soup and salad, priced at $15 each. 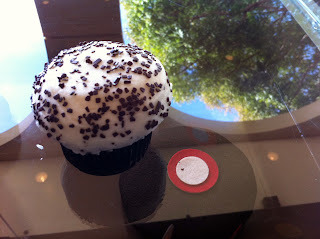 What better way to say "Happy Birthday Sister" than to buy a box of Sprinkles Cupcakes? I had never tried them before so it was a double win. 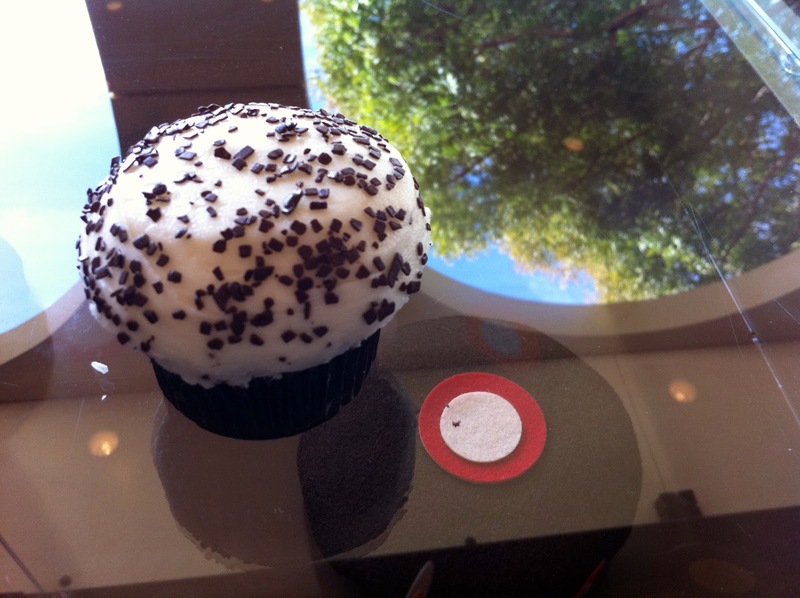 The "black and white" cupcake I tried in the store was good, but not my favorite, all-time best, oh-my-god cupcake experience most people reference. For the money ($3.25 each), I'd rather buy baked goods from a local bakery or sweet shop (think Sweet Mandy Bs in Chicago). In any event, we bought them, we'll celebrate and I'm glad to try something that everyone else has talked about.